If you are wondering why you are always tired despite taking supplements, doing exercise, trying to get better sleep and eating healthy, then it might be time to look beyond your physical body and find clues elsewhere. 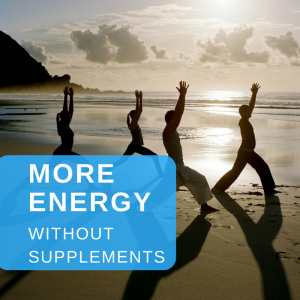 Read on to learn how you can have more energy without supplements. Just like our heart and brain which radiates electromagnetic fields that standard medical equipment such as the ECG and EEG can pick up, our entire body has an electromagnetic field too. Frontier science in bioenergetics has shown that our bodies electromagnetic field has a direct impact on our health, energy, mental clarity and happiness. If energy and information within this electromagnetic field is flowing well, we feel alive and vibrant. If it is not, then health problems and general unexplained fatigue can occur. Having constant fatigue or a chronic illness that the medical system cannot provide satisfactory answers to is no joke. It is the first indicator that your health is not at its optimum and if left unaddressed, can lead to more serious problems further down the track. If you would like to get to the bottom of your unexplained fatigue, or you want to understand more deeply how you can gain more energy, feel more alive with laser sharp mental clarity, there are some really simple things you can do to start out with. First of all, ditch the supplements. If they are not working for you, then it is clear your body is not able to process them because your bodies electrostatic charge is not in a state that it can absorb the nutrients within them and you are wasting your money. Not to mention putting extra stress on your kidneys and liver which has to filter out what is in them. Second, get out onto the grass or beach with bare feet and spend at least 30 minutes just having this direct connection to the earth as many times as you can per week. This is otherwise known as ‘grounding’ or earthing and has plenty of scientific studies to back up its benefits for enhanced energy, mental and emotional wellbeing. This is because we absorb the earths negative ions which helps improve our bodies electrostatic charge for better informational flow. Have a purpose in life! Do you wake up each day eager to get on with your day? Because if not, you likely don’t have clearly defined goals that you are moving towards and are excited about achieving. If you are stuck in a rut and ambling about, you are not likely to feel as energetic as you possibly could. Purpose and meaning in our life give us energy. And lastly, get a bioenergetic scan to learn where your body and organ systems are losing energy. This will give you a deeper understanding of how your body uses energy and exactly what you need to do to enhance the informational flow for more vitality, mental clarity and health. This scan is as simple as hooking up a piece of hardware to your computer that looks similar to a mouse and downloading some software. It takes 20 seconds to perform and the results will be sent to a cloud based system where a qualified bioenergetic practitioner such as myself can access it and interpret your results. After your scan has been discussed either via skype or Facebook video chat, 3-4 remedies will be recommended. Note that these remedies are NOT supplements. They have no active ingredients in them. They are electro-statically charged particles suspended in a colloidal mineral solution. You will take 6-28 drops of these for around 3-4 weeks to correct the distorted information flow within your body field which was indicated in your scan. Thousands of people around the world have experienced dramatic results from undertaking this bioenergetic program. Not only are there plenty of testimonials around the world from people who have committed to at least 1 scan a month for 4 months and taken the recommended remedies, there are also clinical studies indicating the effectiveness of the program. And not only has it been effective for human beings, it has also been very helpful for animals. 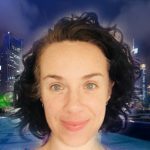 _________________________________________________________________________ Liz is a certified bioenergetic practitioner, yoga instructor and fitness professional. Right now she is offering 2 free 30 minute consultations and a bioenergetic scan to get you started in reclaiming your energy and vitality. But first, click here to get a FREE CHECKLIST of an overview of her 8 Week Supercharge Your Energy Challenge. .
Great tips, thank you for sharing! I especially enjoyed tip number 3 and will endeavor to practice “grounding” regularly. It’s really easy to do and you will receive more benefits from being outdoors and getting some sun! I was wondering where one might go to receive a bioenergetic scan? Thanks for your comment! Glad you enjoyed the read. You can get a bioenergetic scan by first of all purchasing the remote scanner here and connecting to your computer via a USB port when it arrives. I will send you a login once you have purchased which gives you instructions on what you need to do. Once you have completed your scan, it gets uploaded automatically via a could based system and I can login and view it and then we can connect via skype to go over it and what you can do to increase better energy flow in your body and mind. You are also able to view it online once I have reviewed it in the portal so you get to see everything. The first consultation is completely free. Feel free to email me at liz@energymedicinekey.com for more questions. I’ve found your website to be so very enlightening, and interesting. At one point in time, I used to practice Yoga. This I had done for quite a long while, then my life’s situation had changed drastically, and I stopped it. However, when I’m feeling really stressed out, and my world seems to be crumbling all around me, I do go and practice some more, and I feel great once more. Thank you for your tips…they are magnificent. Thanks for some really good tips. I’d never heard of a bioenergetic scan before and am now intrigued! It’s amazing it only takes 20 seconds to perform. I also love the idea of going outside and connecting with the earth – unfortunately it’s a little cold, wet and muddy in the UK to do this at the moment but when summer arrives this will be great! Hey Louise, yes it is a little more challenging when the weather is cold. The summer makes this much easier but there are also other things you can do to get more grounded during winter such as getting a grounding mat (a mat that gives off negative ions which you lie on and absorb into your own field. Still not as good as lying on a beach, but better than nothing!) But also,simply being outside in the elements makes a big difference also-so rain hail or shine-I think we all need to get outside for at least 20 minutes a day, preferably in a natural surrounding like a park or something. Such an interesting topic Liz. It always brings a smile to my face knowing that our ancestors did manage to find some truths concerning our bodies and its potential. We are redescovering and employing them now with the use of our developements in science. Most NATURAL HEALTH approaches are benefiting from it. Viewing the body beyond its structural and chemical composition gives us a greater sense of its holistic nature and how it relates to the environment. There is a reason why children look so happy when running barefooted in a park or at the beach, it is the result of all that energetic cocktail between the sun and the grounding sensation rising through their bodies. After all, energy constantly transforms itself from one form to another, making most things possible, all we have to do is be a receptive channel. I will definetly look into doing a scan soon. Loved your website!!!!! I have never heard of the bioenergetic scan but it sounds very interesting. I always seem to have low energy no matter what I have changed in my life. It seems like right after lunch time I need a nap because all of my energy has been zapped. Do you think the scan would work for someone like me? Hi Josephine, by getting a scan you can start to understand WHY your energy is often low. You will see which organ systems are under stress when it comes to the flow of energy and information. Once you have established this, you will understand what you can do to correct the informational flow therefore having a knock on effect on your biology. Tiredness after lunch relates to the bladder meridian (does not mean you have bladder issues), and the bladder meridian links up to the nervous system. The nervous system governs your energy and if you are tired during that time it is an indication that your system could do with a ‘reset’ (kind of like when you reboot your computer to get it working better again-our body needs this too sometimes because the flow of information gets scrambled leading to us feeling tired).